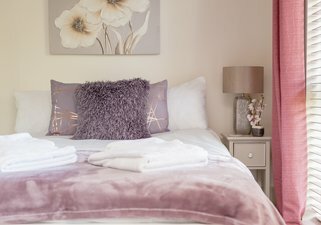 Divine in every way, The Fettes Castle View Residence is ready and waiting to play host to your next visit to Edinburgh. 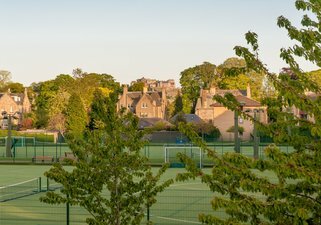 This exquisite property forms part of the exclusive Fettes Rise development and, as well as comfortable interiors, treats guests to secure parking and a view of Edinburgh Castle from the outdoor seating area. 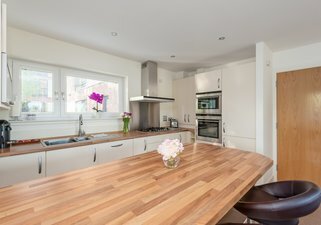 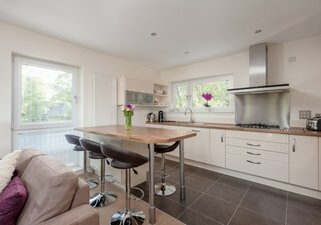 The open plan living and kitchen area with breakfast bar island is perfect for a sociable bite to eat before exploring the city. 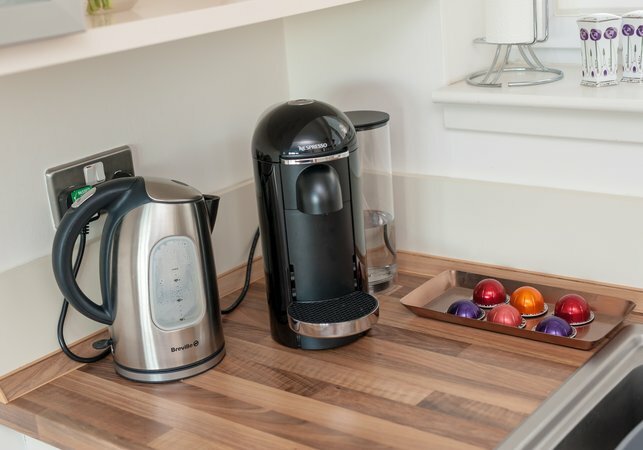 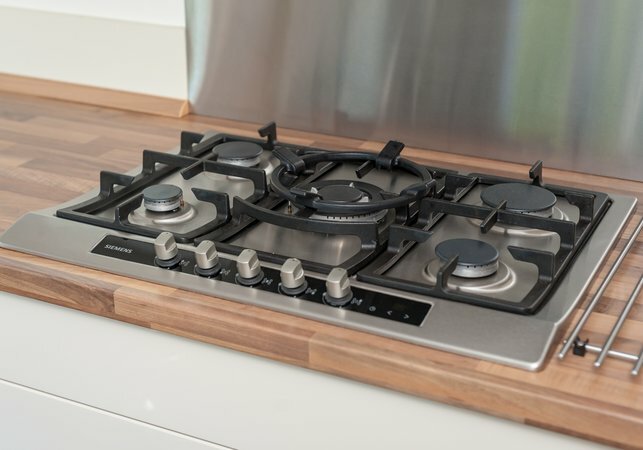 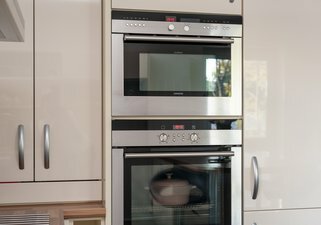 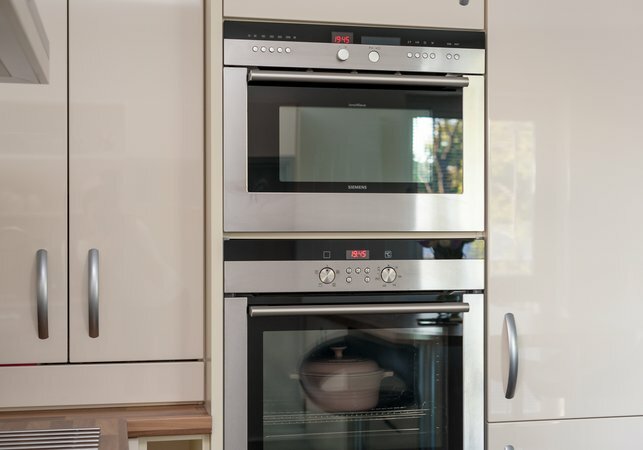 Siemens appliances adorn the beautifully designed kitchen, home to all of the mod cons you could ever need in a perfect home away from home, including a double oven, five-burner hob, dishwasher and Nespresso coffee machine. 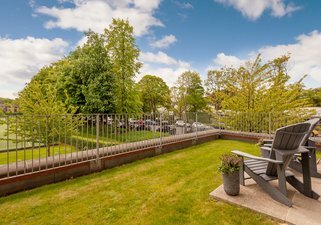 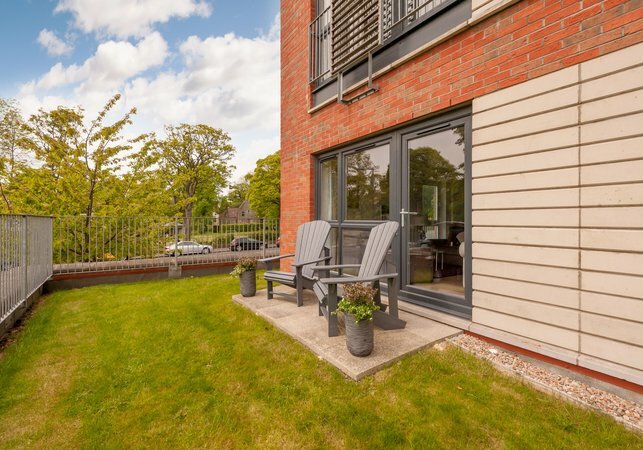 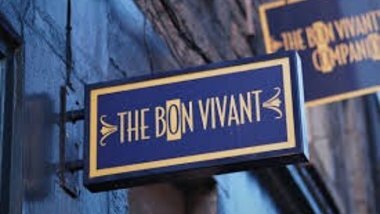 After rustling up your own culinary treats – perhaps bought from foodie haven Stockbridge market, on every Sunday and just a 20 minute stroll away – you can enjoy a glass of wine on the patio. 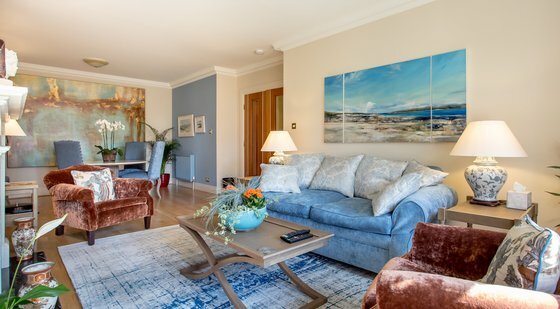 When it’s time to retire to something a little squishier, the living area’s sumptuous sofas are at hand to help you relax after a long day’s sightseeing in the Old Town or shopping on Multrees Walk. 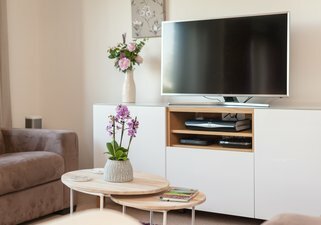 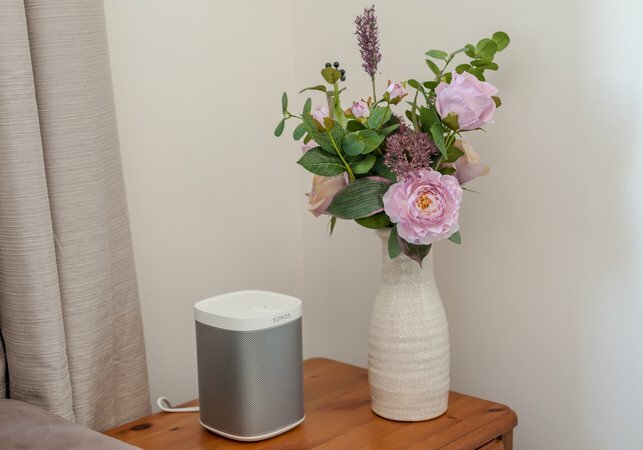 If you need a little entertainment, there’s a smart 40” Ultra HD TV with Freeview and Netflix, a Sonos system and of course unlimited WiFi. Accommodating up to six guests, three welcoming bedrooms set the scene for a sound night’s sleep. The master suite boasts a king-size bed, large built in wardrobes, and large en suite with shower. 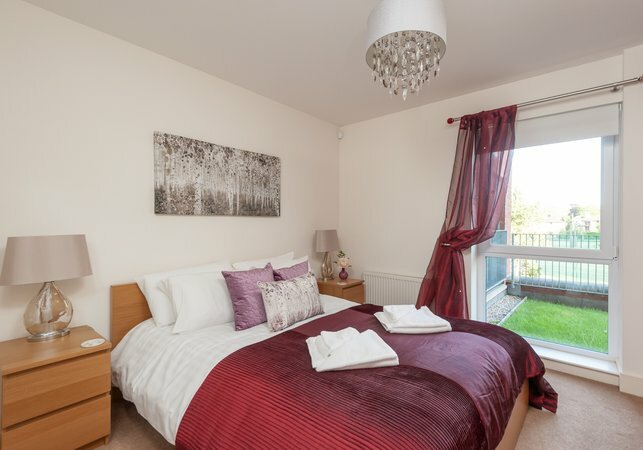 Two further bedrooms (one king and one double) benefit from stylish dressing and plentiful guest storage. 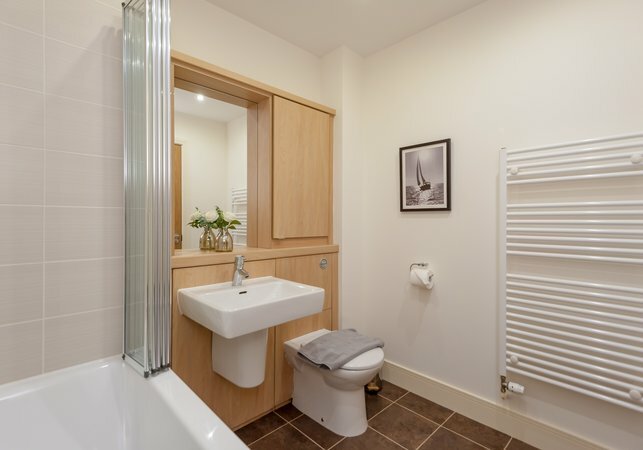 The family bathroom with shower over bath completes this charming holiday home. 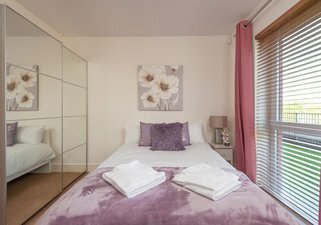 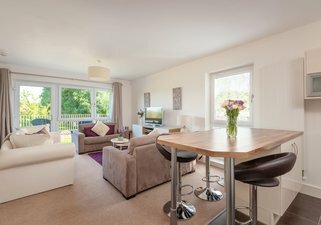 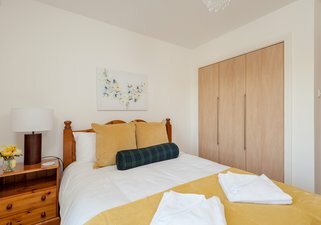 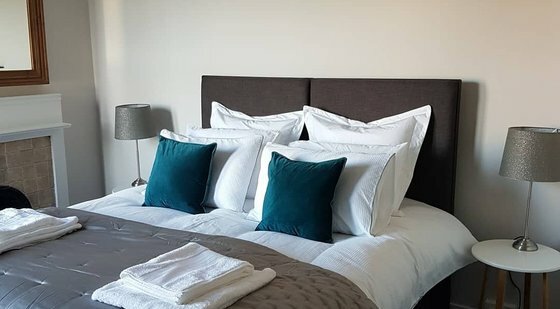 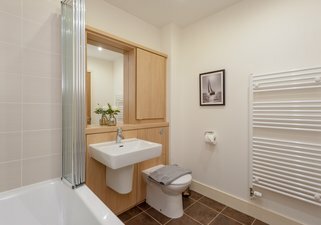 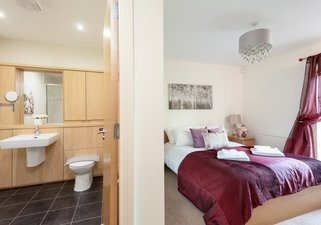 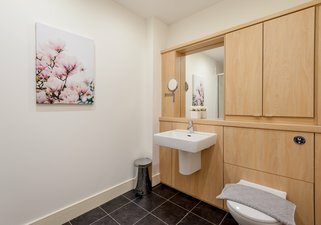 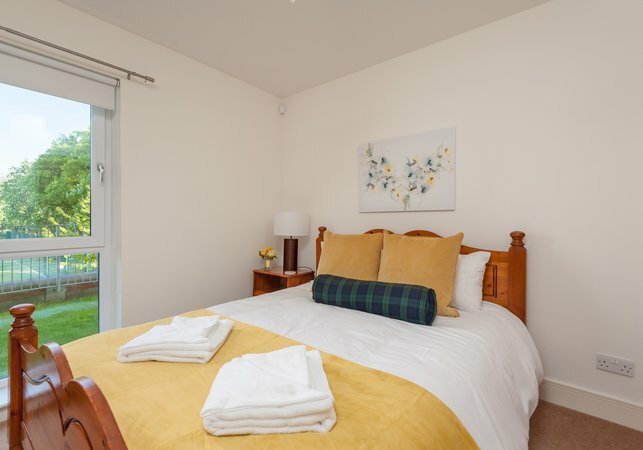 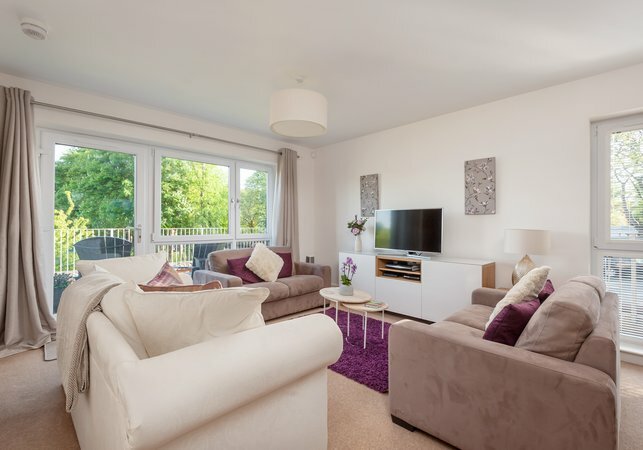 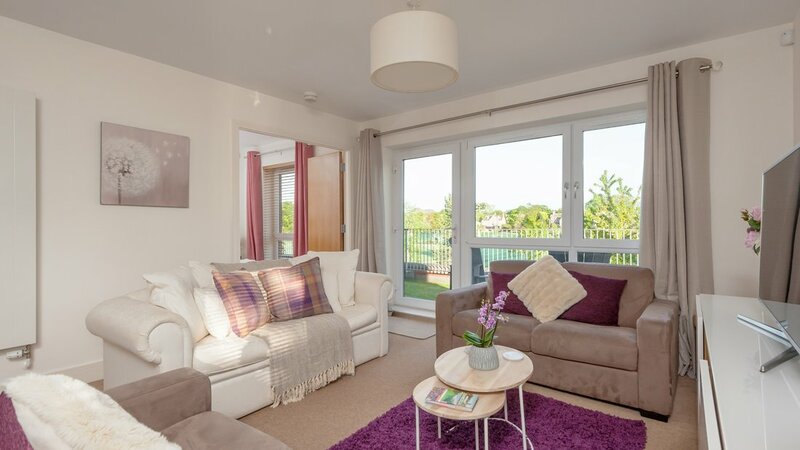 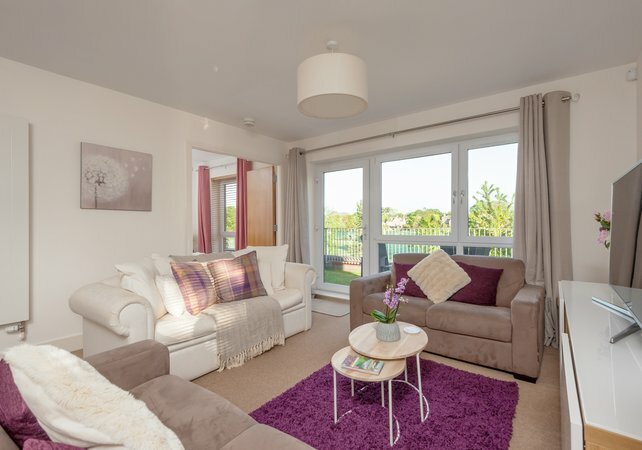 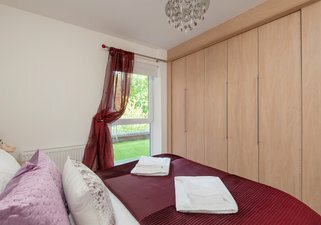 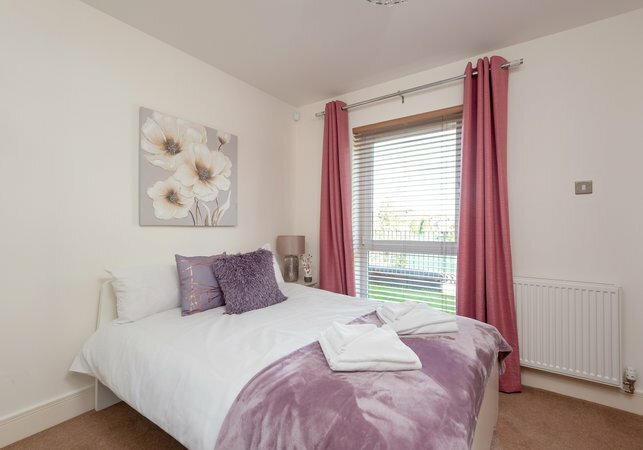 The Fettes Castle View Residence is located in a leafy suburb of Edinburgh, less than 2 miles from the City Centre and the Old and New Towns. 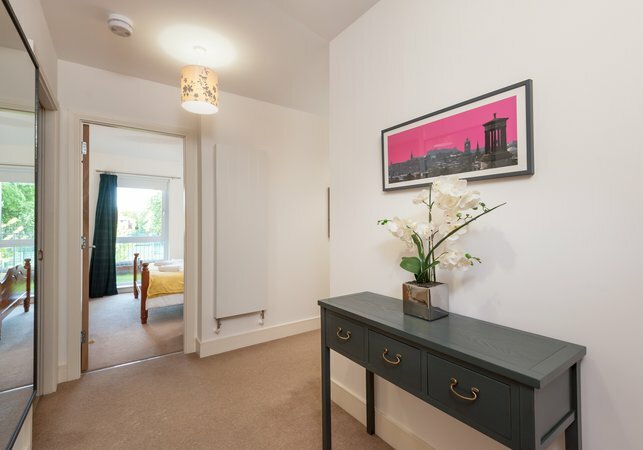 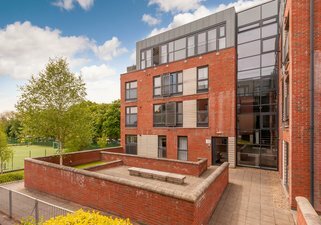 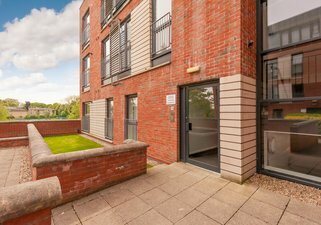 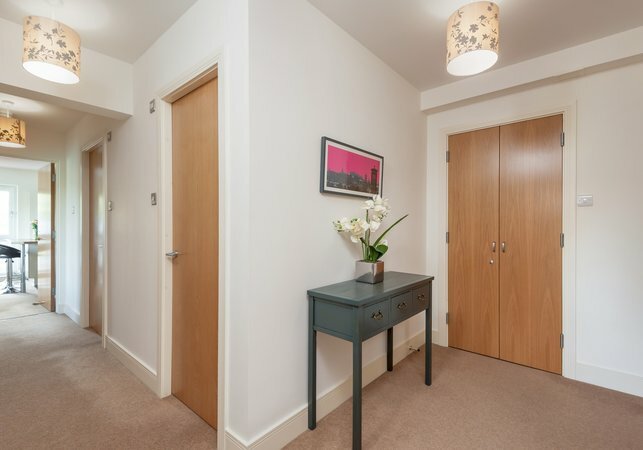 The private development is tucked away behind Inverleith Place, which has a main bus stop serviced frequently by buses to and from the City Centre, should you not fancy the walk. Stockbridge and the Dean Village are also just a short walk away, both boasting a village-like feel with independent shops, delis and bars and restaurants. It's not possible to book online for arrival either today, or for tomorrow. 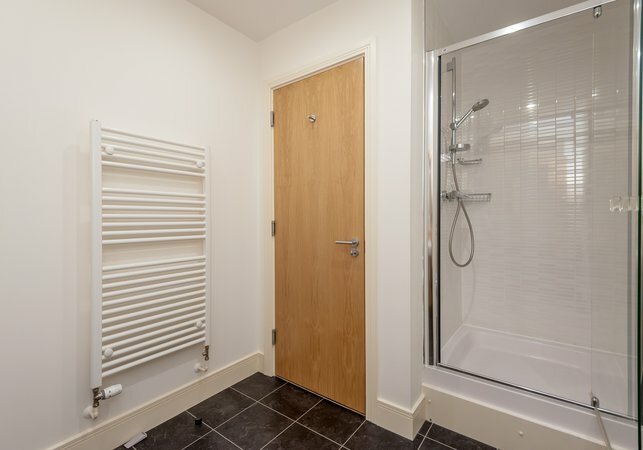 However, we may have availability if you would like to call or email us. 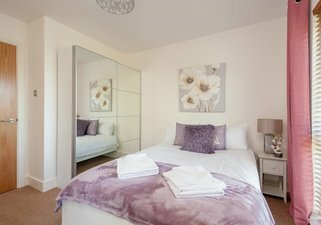 Master Bedroom with King bed and Ensuite, King Bedroom and Double Bedroom. 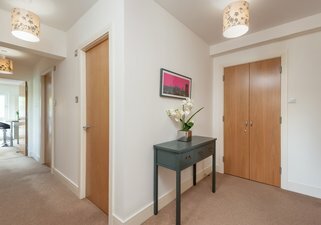 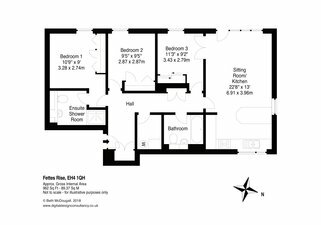 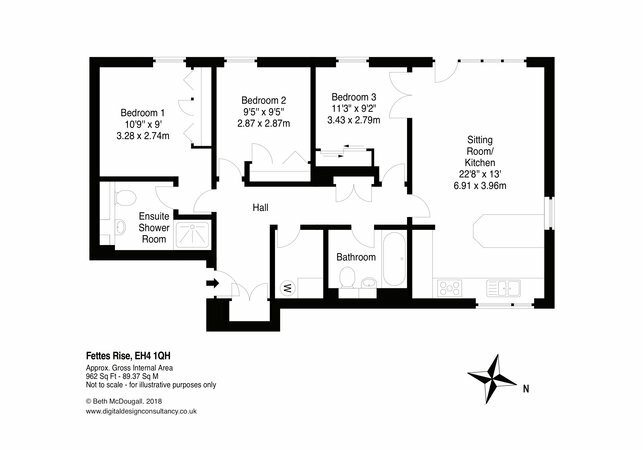 A central hallway leads to an open plan kitchen and living area (with outdoor space), three bedrooms (one with en suite), a family bathroom, and a laundry room.